Senior Iranian official US's Indian Ocean base, considered well out of range of Iran's missiles, will not be safe if the US makes a mistake. A senior Iranian official says that the US's Indian Ocean base at the Diego Garcia island atoll, considered well out of range of Iran's missiles, is in fact within its ballistic missile range. According to Channel 2, the official said that “In the case of a mistake by the United States, its military bases in Bahrain and 'Garcia Hill' [the Diego Garcia base] in the Indian Ocean will not be safe from Iran's missiles." This is the first time Iran has mentioned Diego Garcia, especially in the context of a possible missile strike. 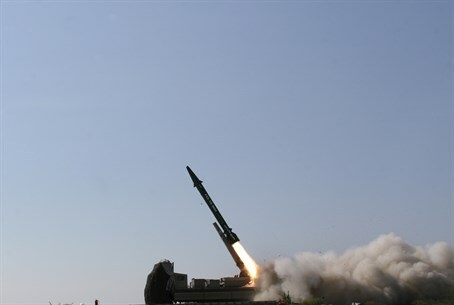 The base is over 5,000 kilometers away from Iran, whose missiles have, until now, been officially known to cover only 2,000 kilometers. The official, Majatba Dhualnuri, is an advisor to Ayatolla Ali Khamenei in the Iranian Revolutionary Guards. The United States Navy operates Naval Support Facility (NSF) Diego Garcia, a large naval ship and submarine support base, military air base, communications and space-tracking facility, and an anchorage for pre-positioned military supplies for regional operations aboard Military Sealift Command ships in the Diego Garcia lagoon. The Iranian statement is an apparent attempt to scare the US leadership into agreeing to Iran's terms in the current negotiations between Iran and the six leading Western powers over Iran's nuclear program. The US president, Barack Obama, is widely perceived as a weak and malleable leader who wishes to avoid military confrontation at almost any cost.